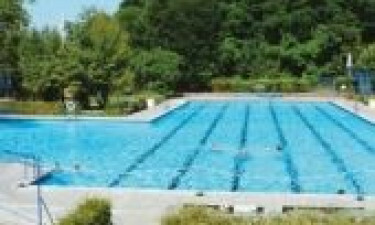 Herbolzheim - Baden-Württemberg, Germany - Book online here today! Indulge in Luxury Camping at Campingplatz Herbolzheim Campsite is a leading LUX-camp that can be found be found on the edge of the Black Forest in South Germany. This region is popular among lovers of the great outdoors and people who book a mobile home here will be able to take part in a wide range of adventure activities during their stay, while the site also provides guests with everything they could possibly need to unwind in style. 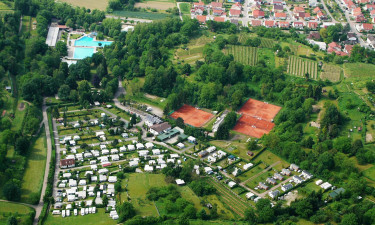 What Makes Campingplatz Herbolzheim Campsite So Special? Nature lovers will be able to spend plenty of time exploring the Black Forest during their camping holiday. The forest features a large number of excellent hiking trails that allow guests the chance to explore the diverse flora and fauna of the area. Bicycle hire is also available at the luxury camping site and people who choose to stay at Campingplatz Herbolzheim Campsite will be able to spend plenty of time cycling through the forest and surrounding countryside. The onsite restaurant is the perfect place to sample traditional Bavarian cuisine such as a whole host of different types of sausages and cheeses. Locally produced sausage is one of the main ingredients of the traditional pasta dish known as Spätzle, which is served at the picturesque outdoor dining area. Those who want to sample Bavarian beer will find an excellent selection to try at the adjoining bar, while the bar is also stocked with other local tipples such as delicious fruit brandy and wine.